Researchers at German institutions that have let their Elsevier subscriptions lapse while negotiating a new deal are hitting the paywall for the publisher’s most recent articles around 10,000 times a day, according to Elsevier — which publishes more than 400,000 papers each year. But at least some German libraries involved in negotiating access to Elsevier say they are making huge savings without a subscription, while still providing any articles their academics request. A major stumbling block to getting deals signed is institutions’ desire to combine the price they pay for subscriptions to pay-walled journals with the cost that libraries and researchers pay to make articles open-access. National library consortia in several countries have previously struck such deals, known as read-and-publish contracts, with other major publishers. In mid-January, Germany’s DEAL project, which is trying to create a collective subscription agreement to replace the individual deals each institution previously held with Elsevier, ended two years of deadlocked negotiations to sign a deal with Wiley. But negotiations with Elsevier seem to be more fraught: the talks previously collapsed with Germany, Hungary and Sweden, and have been extended with Norway and the University of California library system in the United States (the latter two still have access, for now). Meanwhile, thousands of scientists in Germany, Hungary and Sweden have to cope without immediate access. Philipp Kanske, a psychologist at the Dresden University of Technology in Germany, spends a considerable amount of time trying to get articles by contacting different libraries or by emailing authors directly. He finds that some articles are impossible to get. “This does make me quite angry,” he says. Overall though, Kanske says that he supports the ongoing negotiations because he hopes science can move towards journals becoming fully open access in the long run. So he is prepared to live with the consequences of no deal for some time — although he says he hopes that an agreement that fosters open science can be found, because not having access to other labs’ research results is an “unnecessary hindrance of progress”. Heiko Herwald, an infectious-diseases researcher at Lund University in Sweden, says that Elsevier is an important publisher in the medical field, so the cut-off has significantly restricted his work. Herwald tries to get hold of information that he needs by scanning the literature for alternative articles. If that turns up nothing, he orders papers through the library or asks authors for a copy — but he says that this causes “unnecessary delays” to his work. When up against a deadline such as writing a paper or a grant application, there is often no time to wait, he adds. 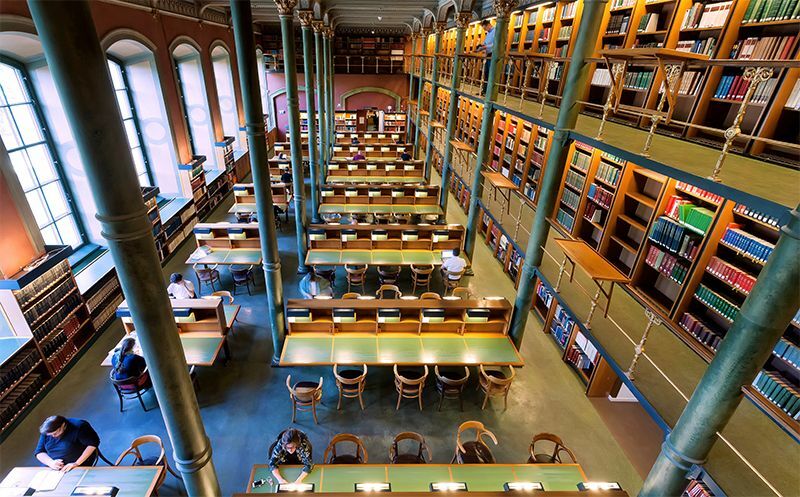 Meanwhile, libraries in Germany and Sweden say that they have not yet encountered any insurmountable problems — and, if anything, they are saving money while still providing any requested papers since Elsevier cut them off. Bernhard Mittermaier, head of the central library at the Jülich research centre in Germany and one of the negotiators of the DEAL project, says that his librarians are now getting more requests for papers that researchers cannot access themselves. But most of these article requests are fulfilled within a working day by one of the ten German institutions that do still have a subscription to Elsevier, Mittermaier says. If a request is urgent, he adds, the library pays the immediate-access fee so the researcher can download the article there and then. This way, Mittermaier says, the library is saving around half of its previous subscription budget. “We can buy literally everything that our customers need, and in addition, we are renovating a former archive and turning it into a modern conference room,” he adds. Södertörn University Library in Stockholm has seen a decrease in the average attempted use of Elsevier’s Science Direct platform by 25–30% in the past 6 months of 2018 compared with the same period in 2017, says Sara Parmhed, an e-resource librarian there. Since the demand for individual Elsevier articles through the library’s document-request service has not increased correspondingly, library director Jonas Gilbert suspects that scientists are turning to other articles or journals — “or finding access in other channels”.